An ultimate pack of useful resources that will help you launch a successful ecommerce store. 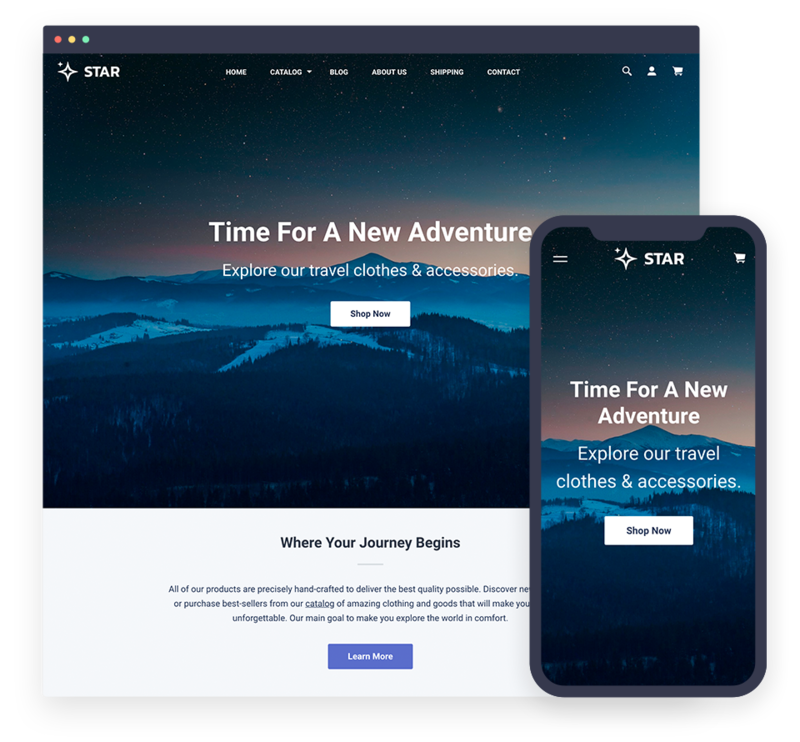 Opening an online business is a really time-consuming process, we’ve created this pack of essential ecommerce resources to save your time and help you launch an outstanding Shopify store easily. 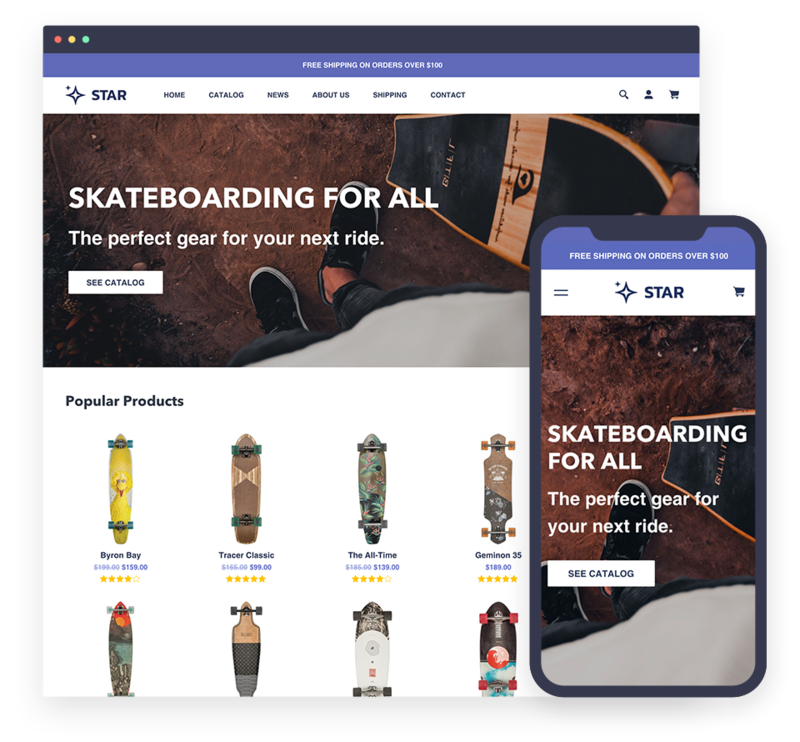 All the elements are designed to fit any kind of ecommerce business, you can use Shopify Starter Pack to kick start an online store of any complexity! An amazing unique collection of ready-to-use templates for major social media networks that will save you a lot of time for designing professional posts. You can edit each template, replace images or texts in any way to fit your needs. 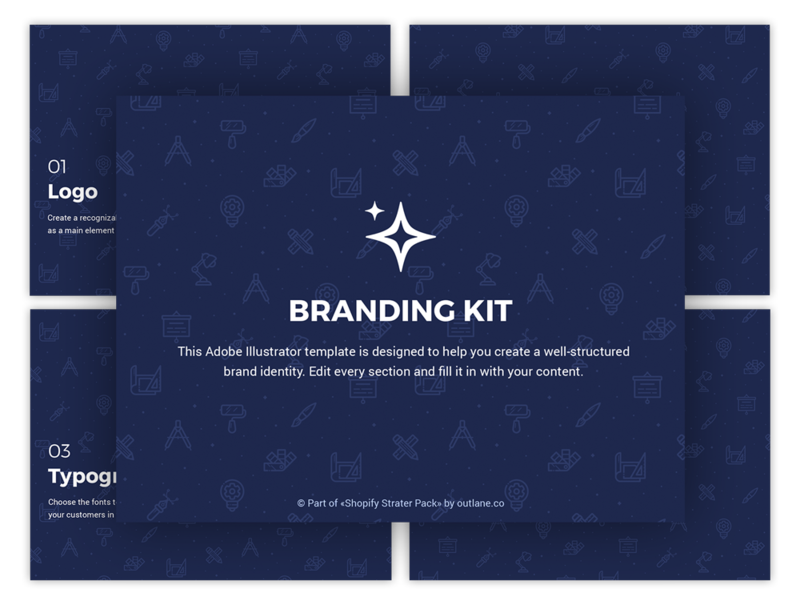 Use this template to create a brand identity for your online business. Edit every page, fill in your own content to get a well-structured brandbook that will establish your ecommerce business vision. 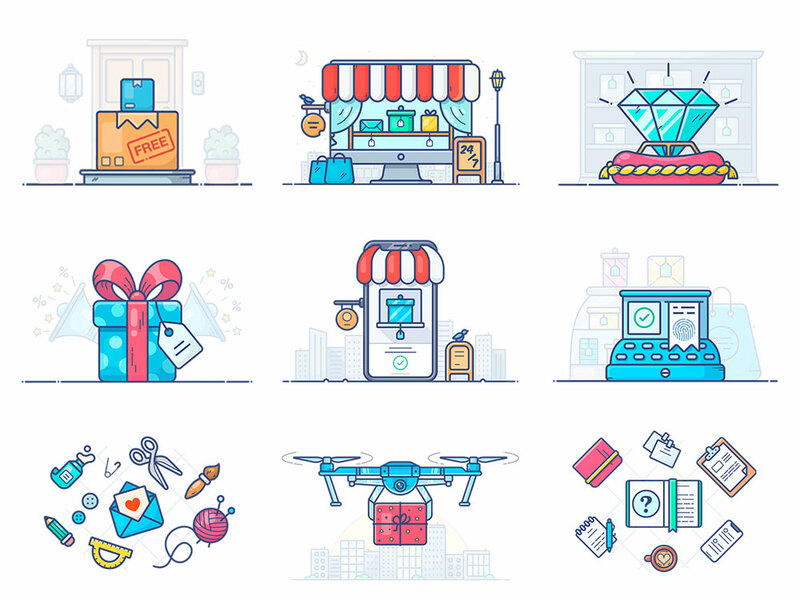 The set includes 9 premium vector illustrations that you can use on the pages of your online store or anywhere else. The illustrations make your website look more user-friendly and memorable. 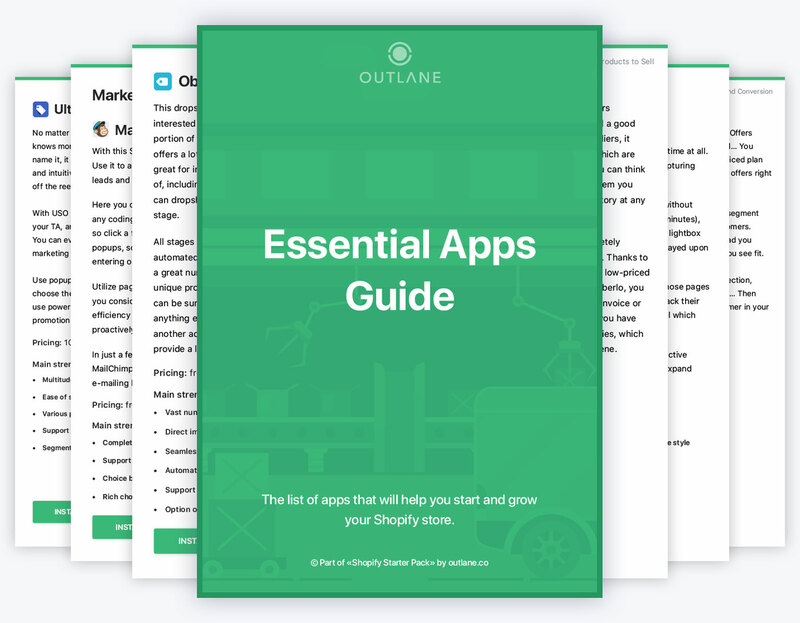 The guide includes the list of the most useful and trusted Shopify apps that will be great helpers in launching your Shopify store or increasing sales on the existing store. 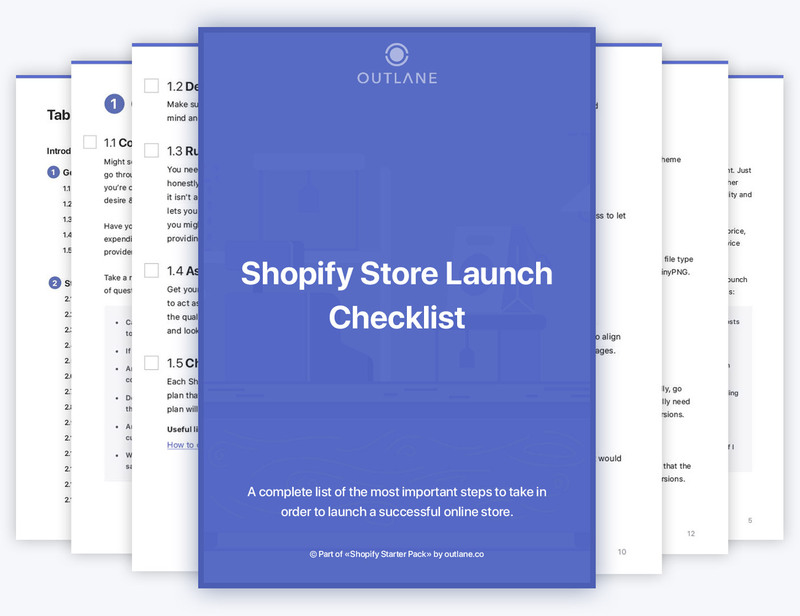 We’ve gathered a list of the key tasks that you have to do when launching a new Shopify store. This list helps you make sure that you are ready to launch a store and start making sales. 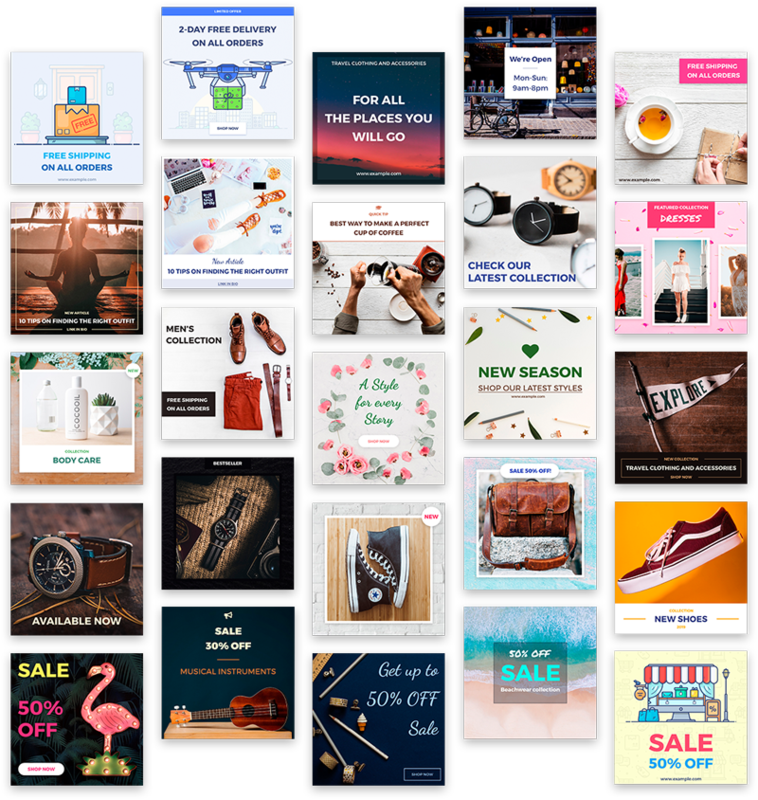 Download Shopify Starter Pack and launch your online store today!